As races go, this is the one to look forward to. You couldn't ask for more going into the inaugural Singapore Grand Prix. It's a brand new street circuit, Formula One's first ever night race, and the sport's first foray into another new country. The title race is finely poised with tempers flared after Lewis Hamilton's appeal was rejected earlier this week, and it's possibly reigning champion Kimi Raikkonen's last chance to stay in the fight with all the talk at Ferrari turning to 'the good of the team'. And Singapore comes on the back of a hugely popular maiden victory for Sebastian Vettel and Scuderia Toro Rosso last time out at Monza, which gave F1 back its much needed feel good factor after the bitter taste left with many by Spa. We've given up trying to chart the swing of momentum between McLaren and Ferrari, Hamilton and Felipe Massa, they're too evenly matched anyway. But that's the beauty of this year's title fight, you can throw the form guide out the window. The gloves are off and it's just down to the drivers to slug it out from here on in. When last were you so excited for a Sunday to come? Nobody really knows what to expect. If the floodlights are as bright as those at the Qatar MotoGP round in February, or at NASCAR or IndyCar races, there won't be much of a difference in terms of vision for the drivers. But will they be reliable, will glare be an issue, how will the lighting be affected in the rain? Short answer, they don't know. You'll just have to watch and find out. The big danger in the dark. This is monsoon season for Asia, and Singapore has had above average rainfall this month. However, the rain has typically been falling in the morning, so the evening race could escape a downpour thanks to the lower temperatures. Cutting chicanes is a touchy subject in Formula One right now, and there's a site for potential grievances at Singapore, too. The chicane at Turn 10 exists to avoid the cars arriving at what would otherwise be a high-speed left-hander with no run off on the outside. But the left-right-left sequence is likely to encourage drivers to use as much of the run-off as they think they can get away with on the way through. After their appeal against Lewis Hamilton's 25-second penalty at Spa failed earlier this week, the team must forget the politics and deliver on track. It's honours even at 1-1 between Hamilton and Massa on street circuits this year and anything could happen this weekend. He's been the centre of attention since taking a shock, though thoroughly-deserved, victory at Monza. He and Toro Rosso are likely to return to scrapping with Toyota and Renault for the last few points, but he'll be looking for a repeat performance - especially if it rains. A new track, a street circuit, a race at night, the threat of rain, the safety car, not to mention the constantly changing grip levels - the list of spanners queuing up like lemmings to jump into the works seems never ending. Chances are that at least one of those will throw up the unexpected during the race, and one swiftly taken opportunity could make the difference. 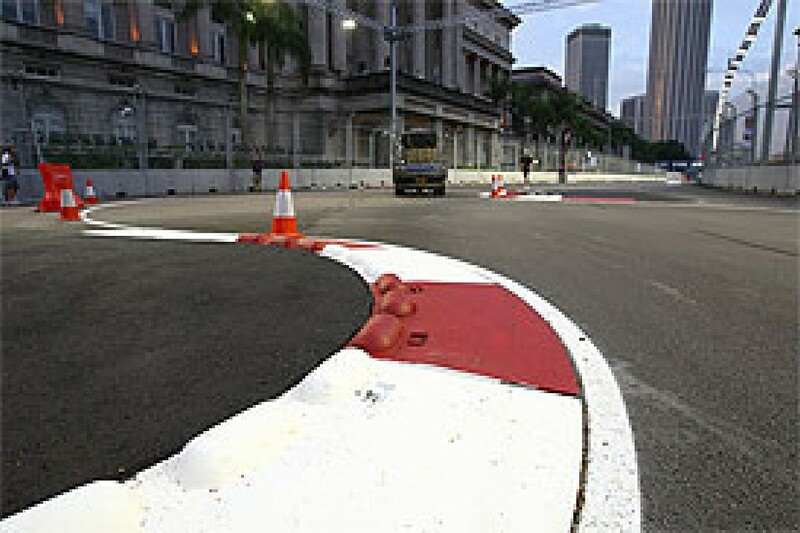 Restricted by the very nature of a street circuit, the Singapore layout features a lot short squirts and 90-degree corners. There are a couple of long straights, but it will be more about traction, acceleration, and stability in low-speed corners, than power, high-speed aero, and lots of heavy braking. Scuderia Toro Rosso were quickest out of the blocks at the last new circuit (Valencia), topping the first practice session, getting both cars into the top ten in qualifying, and a good points finish in the race - and they haven't looked back since. Another new track this weekend and the first teams to get a handle on set-up and the performance of the tyres over a stint will be sitting pretty. As with all street circuits, the grip level will be low because the surface won't have been rubbered-in by race tyres. 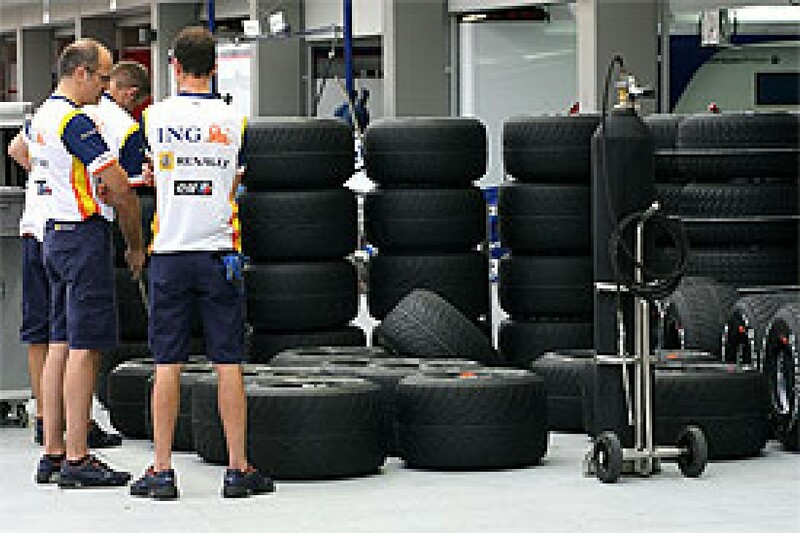 Bridgestone have responded by bringing soft and super-soft rubber. What is unknown is how quickly the rubber will degrade during the race, so teams will probably stick with the familiar two-stop strategies to ensure they are not stuck on inferior rubber for a long stint. With the threat of rain and the walls keeping up the likelihood of safety car intervention, teams will be circumspect about running with heavy fuel loads and locking themselves into inflexible strategies, further pushing them down the two-stop route. At the front, too much is at stake for either Hamilton or Massa to try anything radical. But Raikkonen (by his own admission) needs a miracle so could take a punt on a different strategy, and McLaren could choose to try something different with Heikki Kovalainen if he doesn't look like coming into play naturally - perhaps three stops. "For a flyaway race, it's always better to arrive as early as possible to acclimatise to the time zone, however, for the night race in Singapore the situation is quite the opposite. I plan to arrive just prior to the start of the weekend to give myself a better chance of ensuring that I don't become accustomed to the time zone. "We will be operating to a European time frame, which will be tough as it means staying awake throughout the night and sleeping for practically the whole day, before starting the engineering and running schedule from 1700. "We will concentrate on getting our rest and nutrition right to ensure the body is ready to react in the right way when required." Well, there isn't any. Not yet anyway, but plenty will be made over the course of the weekend. The first night race, the first Singapore GP, another opportunity for someone to deal the decisive blow in the race for the championship. Let's just hope the creation of history at this new venue is more entertaining than it was at Valencia.